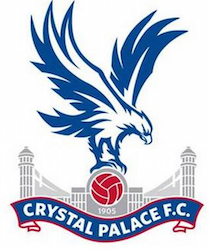 Today's blog update does contain much information about Crystal Palace matches. 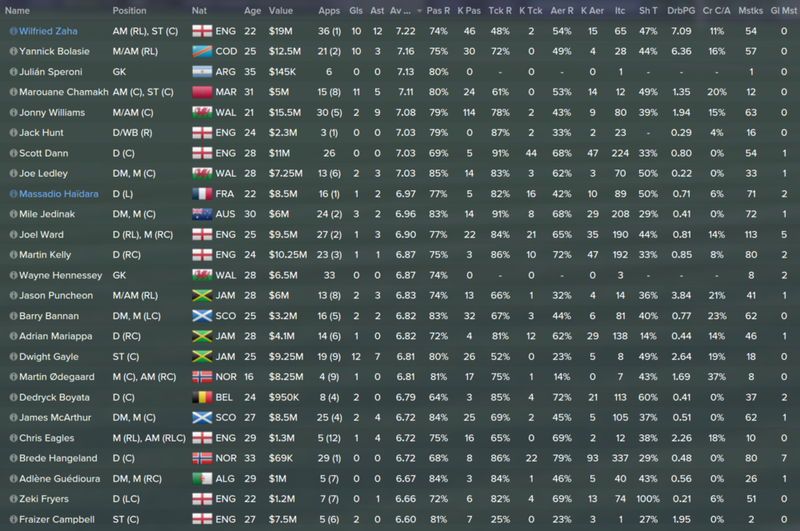 I had quite much time for playing FM 2015 last week and I am in 4 fixture till the season end so far. That is why I decided I am ready to perform squad analysis and prepare myself to summer transfer window. Thusly, your help and advices are more than welcomed. February was the most unlucky month for us. 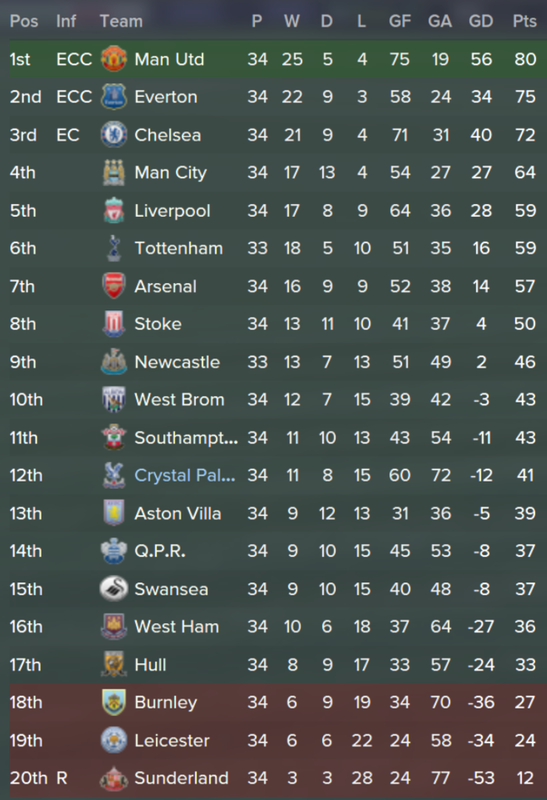 3 losses to Newcastle, Q.P.R and Chelsea made me to hesitate regarding finishing in the middle. But then my players played really good against Everton who are remarkable this season. Afterwards 3 wins in a row happened. One of them should be considered the best match of the reported period. Surely we got some help from Lucas Leiva receiving a red card. Anyway my team played better than I expected. Here are Crystal Palace player stats for this match where you can see Wilfried Zaha as MoM with 17(!) runs with ball. It was pretty obvious to expect another victory after the 3-win series. 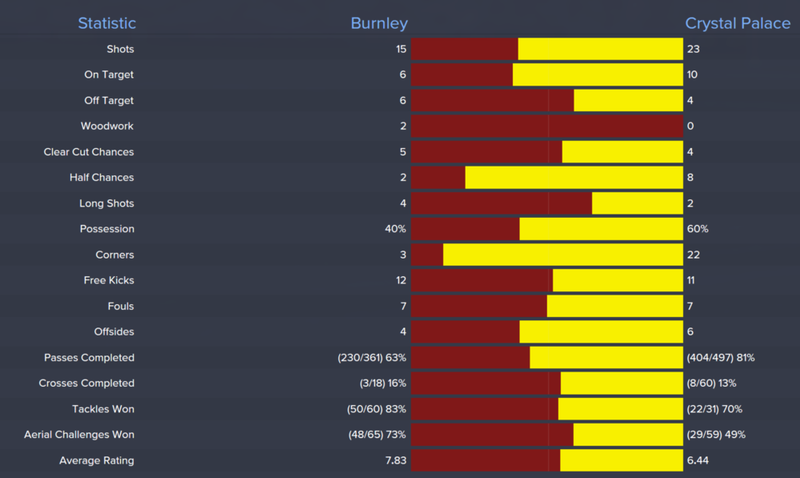 However, the away match against Burnley turned into a weird 1:4 loss that doesn't correspond to match stats at all. Just look at the numbers of shots, ball possession and particularly corners. This strange defeat can be explained by defensive weakness. 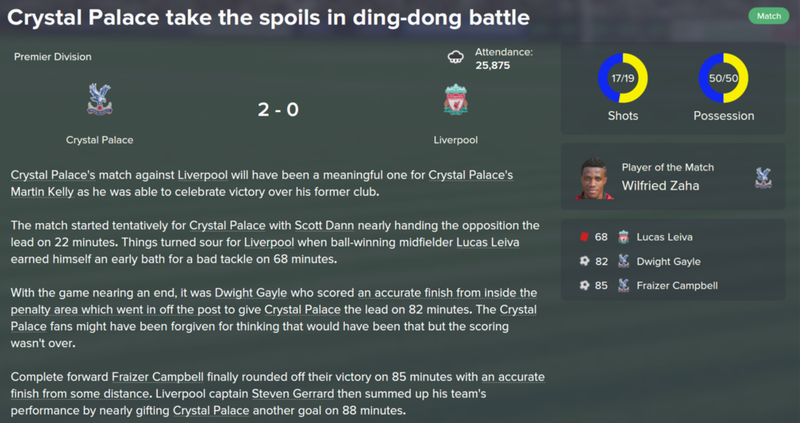 Both main centre backs Scott Dann and Brede Hangeland were injured that day, so I had to use Martin Kelly and Adrian Marriapa. They didn't cope with struggle in air and lost almost half of their headers. Easy win over Leicester helped to morally recover and we can't wait till the last 4 fixtures to find out final Premier League results. As you understand this kind of results correspond to a mid-table team what was claimed to the board in January as a new season target. So finally you can see The Eagles at the 12th position. Just some words about because I completed the first coaching qualification. So my reputation has changed from Regional to National level with this license. Also, some coaching attributes have slightly improved during these season and reached value of 5. Here are also extended player stats containing Interceptions, Shots on Target, Mistakes and other stats are not exposed by me during season. We see Wilfried Zaha is the best Palace player this season. His loan contract includes Future Fee option of $12.37M. I suppose it's obvious I should spend that transfer money. Zaha costs $19M and can develop into even better player during next couple of years. The 2nd best player is definitely flamboyant Yannick Bolasie. Perhaps he's not that stable performer as Zaha but his 10 goals in 21(2) matches worth much. The 3rd place goes to Jonny Williams with his great 114 key passes in 30(5) games. I hope I'll be able to withstand interest from other clubs to his person. Now that's enough about Palace season awards. I want to make a squad analysis by categories. Wayne Hennessey was good enough during the season. Almost all conceded goals were caused by weak defensive line actually. So I can't blame my main goalie and do want to use him next season. Experienced Julian Speroni has signed a new contract with rotation squad status. Nevertheless, I am going to use him from a substitution bench. My main pain now. Brede Hangeland failed this season having the one of the worst ratings in the team. His slowness and wage demands go contrary to each other. This is why I rejected to sign a contract and the veteran defender will leave on the Bosman rule. Aerial challenge completion ration = 68%. Dedryck Boyata was totally disappointing. He made so many mistakes leading to goals, so I can't even think of him as replacement. Young talents Vallejo, Souttar and Costas will not be ready to play at Premier League level next season. But surely I hope they develop themselves during trainings and probably loans to other clubs. I would stay with Joel Ward and Martin Kelly on flanks but the former can receive offers from more serious PL clubs. That can be another challenge for me to keep him in the squad. I don't expect many changes here just because it doesn't make any sense. Jonny Williams, Mile Jedinak, Joe Ledley are invaluable Crystal Palace members. I cannot say the same about James McArthur and Barry Bannan. 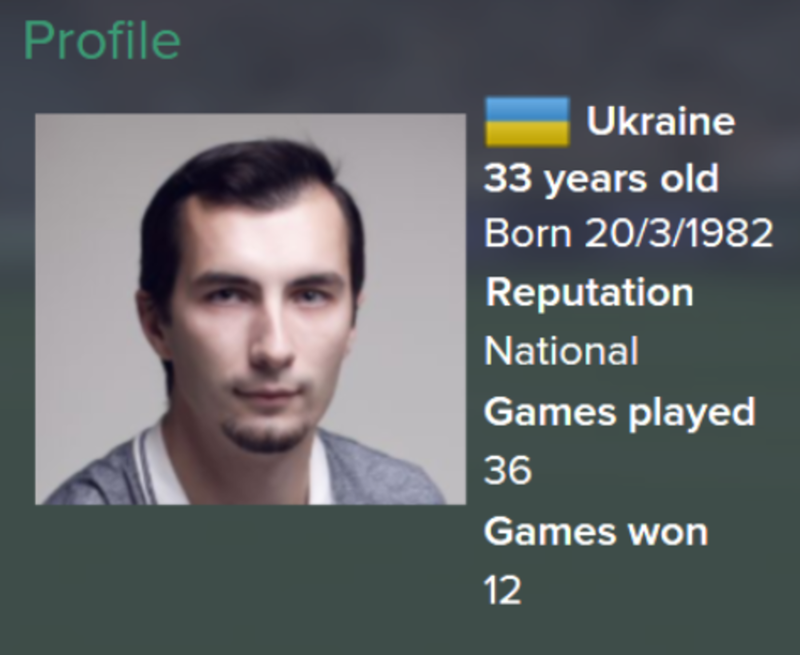 The former has 6.72 rating in 25 matches which is certainly disappointing. It seems McArthur didn't adapt in the new team. Barry Bannan showed slightly better performance. Though he's not able to compete for place in a starting eleven so far. It's very simple. Zaha and Bolasie were already praised by me today. Puncheon and Eagles failed to meet my expectations this season. They are just too passive and may be to slow on the background of explosive Zaha-Bolasie couple. 16-years old Martin Odegaard is a big hope for Crystal Palace and will receive more match practice during next season. How do you think, should I do something with Eagles and Puncheon? What's your opinion of them just looking into their stats? 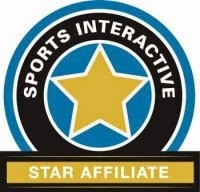 We scored many goals being one of the best Premier League teams by this parameter. It would be interesting to know that this is not really a merit of my strikers. Well, yes both Chamakh and Gayle were decent goalscorer, especially Chamakh... But this is not what I need. I need another forward with killer instinct and ability to frequently assist to inside forwards. Conclusion: Top forward scouting should be started. That's all for now dear blog readers. Thanks for joining me. Please keep in mind I would like to hear your opinion regarding squad strengthening in the comments below.